Tharoor said Sabarimala situation calls for 'extensive consultations and discussions among all stakeholders' rather than 'political drama'. Thiruvananthapuram: Former Union Minister and senior Congress leader Shashi Tharoor on Friday requested the Bharatiya Janata Party (BJP), Rashtriya Swayamsevak Sangh (RSS) and Kerala government among others to not play politics with the respect attached with the Sabarimala temple and not "desecrate" it. "I believe this is a very important issue that raises some very profound questions about change in the interface between traditional modernity and our society in a changing world, and it cannot be handled lightly. What we have seen with the BJP's behaviour in terms of violence that they have conducted and the intimidation of the people in Sabarimala have been utterly disgraceful. 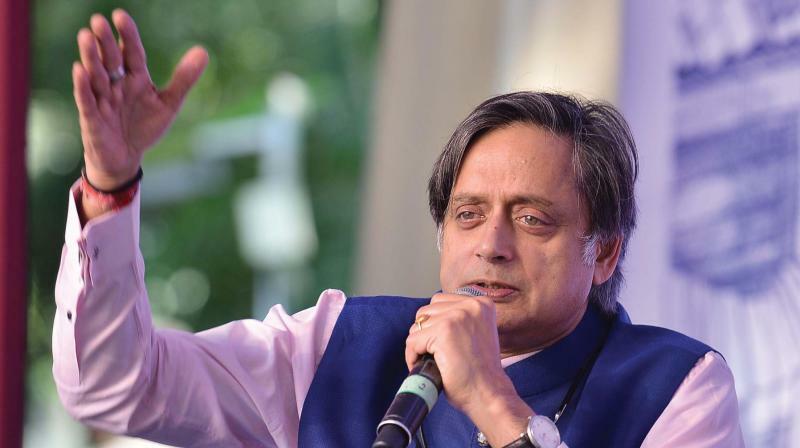 Reducing this sanctified shrine to a place for political theatre while the local BJP chief gloats that this has been a golden opportunity for his party is utterly shameful," Tharoor told ANI here. He added that the state government is also responsible for the tense situation in Sabarimala temple. At the same time, Tharoor said, the ruling party in the state and the government acted in a haste to push through the implementation of the Supreme Court judgment without adequately involving and consulting all stakeholders. "They have also contributed to creating this drama. Unfortunately, many of their sympathisers have attacked the offices of the Nair Service Society (NSS) creating a completely unhealthy atmosphere and vitiating the environment in which a solution can still be found," he added. Tharoor's statement comes after the Kerala High Court on Thursday observed that the protest in Sabarimala temple was against the Supreme Court verdict. The Sabarimala temple and its surrounding areas saw a series of protests in October over the Supreme Court's decision, quashing restrictions on the entry of females between 10 and 50 years of age group into the holy shrine. Despite the apex court's order no female in menstruating ages was able to enter the sanctum sanctorum of the temple when it opened this October. Over 3,000 protesters were arrested for instigating the violence that broke out in the state, while around 529 cases were registered in this regard.